1. First of all, the first use should ensure that the liquid booster pump is connected according to the requirements of the factory. Do not use accessories lower than the maximum use pressure of the liquid booster pump, such as high-pressure pipeline, jacket connector, high-voltage switch, etc. 2. 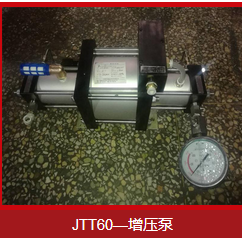 Connect with the appropriate fittings according to the use requirements, and then check whether there is leakage (slight leakage of hydraulic pressure and air pressure will lead to a larger pressure fluctuation, and re-pressurization will form a pulse on the precision parts of the product. 3. 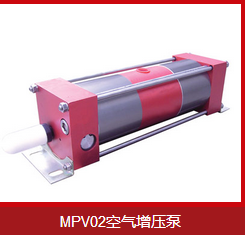 After satisfying the above conditions, check whether the driving gas source meets the operation requirements, whether the pressurized medium is pure and well connected. 4. After completing the above steps, open the driving gas source, adjust the pressure regulating valve on the two-connected body, adjust the pressure from 0 to high to the used pressure, and prove that the air in the booster cylinder is completely discharged when the liquid is discharged from the high-pressure outlet of the liquid booster pump, cut off the driving gas source, connect the detected parts and open the gas source again. If the pressure bearing capacity is tested for a long time, there are two ways to test the sealing: 1. cut off the gas source to see the pressure drop 2, and keep the gas source open to see the leakage. This article is dedicated by the gas booster pump. For more knowledge, please click: http://www.sdjingtuo.com. We will use advanced technology and sincere attitude to provide you with comprehensive services. More knowledge will be dedicated to you one after another. Please look forward to it.